I sent out the latest issue of Wordplay to subscribers yesterday, in which I recounted Star Wars Celebration and hanging out with other Shoretroopers, a bit about Rogue One, and some rants/thoughts about how the literary genre is simultaneously using / ignoring science fiction as a genre, even as more literary-styled novels are telling what are pretty much science fiction stories. I’ve also recounted some of what I’ve been read and have been reading. You can read the latest issue here, or read past issues and subscribe here. 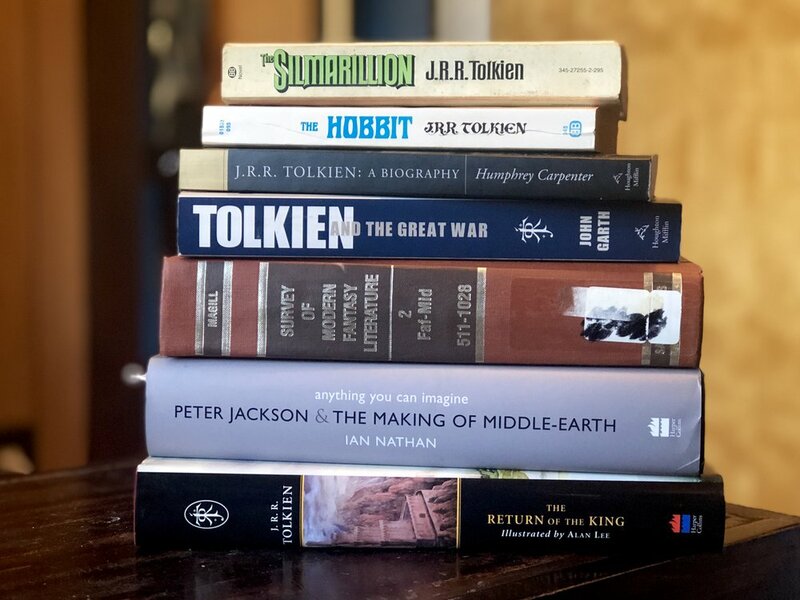 This past weekend was the 16th annual Tolkien in Vermont conference, and I had a presentation this year, one that looked at Tolkien’s experiences during World War I. I’ve sent the entire presentation out in my latest newsletter, which you can read here. As always, you can sign up and read past issues here. I included a couple of other things: I’ve opened up an account with Curious Fiction, a short story platform which looks really neat. You can find my profile here, and I’ve added up a couple of short stories. I’ve also restarted my Instagram account, because it turns out that it’s going to be kinda required for a new project I’m working on. You can follow along here. Expect… lots of costuming and book pictures. The latest issue of Wordplay is now live and out to subscribers! This issue covers a couple of topics: the proliferation of streaming services, and the opportunities that that leads to for creators, some thoughts on science fiction’s relationship with advertising, and some complaints about some recent fan fiction coverage online. You can read the latest issue here (and past issues here), and subscribe to the letter here. Wordplay is back on schedule, with a new post this last weekend. I spoke about a couple of things: Netflix’s new science fiction anthology, Love, Death + Robots, which is quite a bit of fun to watch, and adapts stories from people like John Scalzi, Ken Liu, and Marko Kloos. I also write about the recent documentary Apollo 11, which is fantastic. You can read this latest issue here, and if you like it, sign up and read past issues here. This latest installment of Wordplay has been… delayed. I’ve been sick, and only just now gotten around to typing it up and sending it out. You can read the latest installment here. In it, I’m talking about Betty Ballantine, my probable nominations for the Hugo Awards (due Saturday), and some thoughts on the latest awards scuffle. Plus, what I’ve been reading and what’s coming up. If you like it, subscribe here. 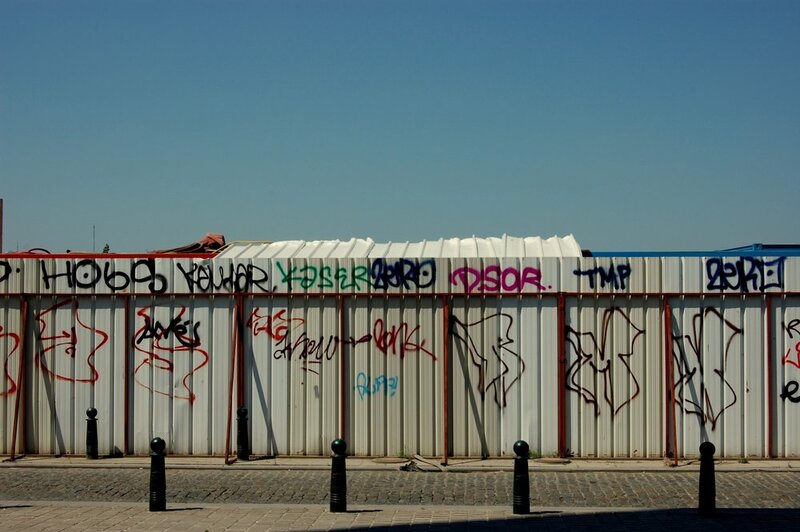 The first is The future will be collective, a short musing on two Verge stories that went up at the beginning of February: Cadwell Turnbull’s Monsters Come Howling in Their Season, and my feature about Front Porch Forum. Both touch on a couple of similar issues: pushing governance down to a community level, and how that seems to be a good model for tackling major problems. The second came out last weekend while I was at Boskone, and came out of a couple of conversations that I had with people about intellectual property and how authors and creators should have this at the back of their mind, and how the model for developing new works is beginning to shift in some interesting ways. Plus, some whining about convention panels. As always, you can sign up and read back issues here. 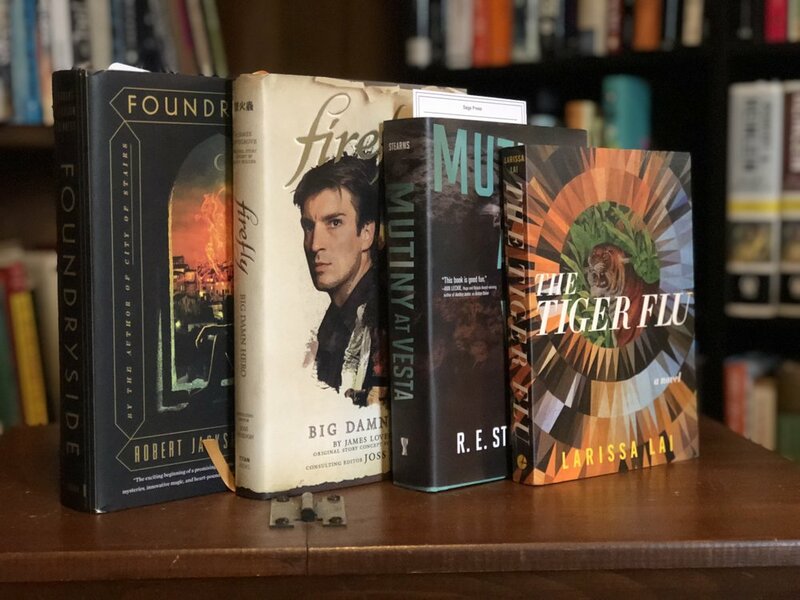 While I’m at it, I’ll recommend signing up for Eliot Peper’s newsletter — he does a bunch of book recommendations each month, and they’re always pretty interesting. Issue #6 of Wordplay is now up online! It’s the first issue of the year, so I’m using the opportunity to talk a little about what my reading plans are for the year, and what I’m excited to get to in the coming months. I also look at a trope that I’ve noticed in a couple of books lately: the use of suspension pods to allow characters to cover large swaths of time, notably in Cixin Liu’s The Dark Forest and Adrian Tchaikovsky’s Children of Time. Give it a read or subscribe here. Wordplay #5 is out to subscribers! And unlike the first four, this one is only available to people who subscribe, because it was a little different: a short story. If people are interested and sign up this week, I do have the option to send it out again to newcomers. An idea that I’ve been turning around in my head recently is things in our real world that are like magic, and I decided to play that out — an idea coalesced on a recent trip, and it seemed like a good way to talk about this, rather than just doing a straight-up think piece. Plus, I haven’t actually written — let alone finished — a short story in a long time. I don’t know if / when that’ll appear anywhere else, but I had fun writing it. I might do that again at some point down the road. You can sign up and read past public issues here. 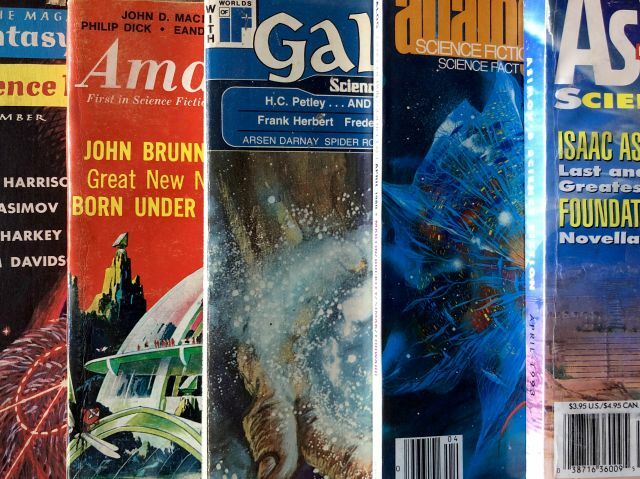 Wordplay #4: What is the role of optimism in science fiction? Issue #4 of Wordplay is now out to subscribers! I’m using the launch of Better Worlds as an excuse to talk a bit about the role of optimism in science fiction, along with some links to some longer features / articles that I came across. You can read the issue here. If you like it, please consider subscribing. Newsletter issue #3 is now out! 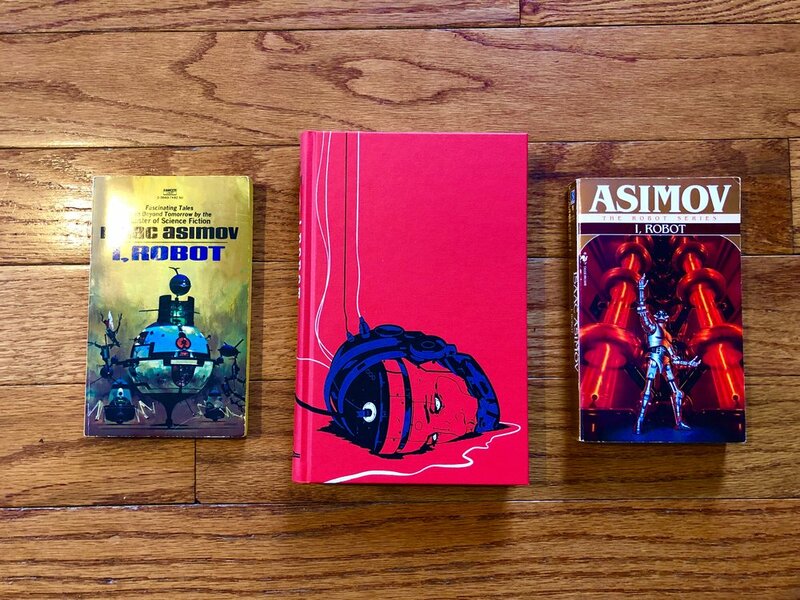 For this letter, I decided to focus on one thing that I’ve been thinking about lately: how Isaac Asimov’s Three Laws of Robotics helped add to the conversation about robots and AI, why we need more fiction that is aimed at solving technological problems, and why more leaders really should read stories that are about that. You can read the issue here, and if you like what you read, subscribe! I’ve sent out the second issue of my newsletter. Huge thanks to everyone who read and wrote in about the first one. I think the number of subscribers just about doubled between then and now, which is gratifying. This time around, I’m talking about my reading habits, Chinese science fiction, and a couple of other things. You can read the issue here, and if you like what you read, you can sign up here. As promised, I’ve started up a newsletter — my attempt to pull away a bit from social media. I’m calling it Wordplay, and the focus will be a smattering of my interests, loosely around the topic of storytelling, science fiction, and writing. 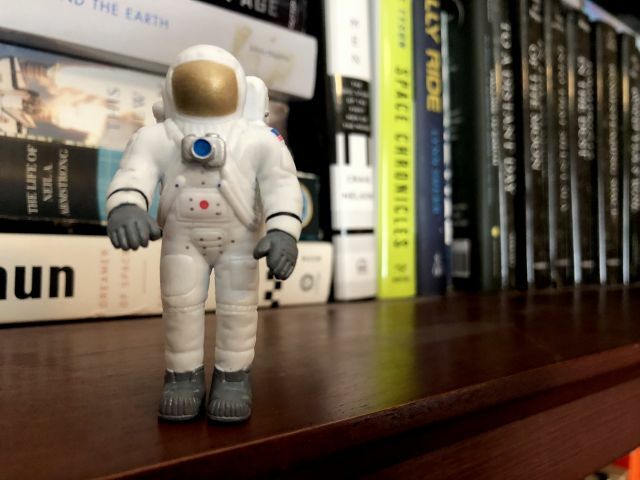 I talk about lunar novels, Star Wars, science fiction history, and what I’m currently reading, and you can read the first installment here. If you like what you read, you can sign up here. I’m thinking that the next one will go out in about two weeks.